Compact and powerful, the NAR Tactical Suction Device is designed to effectively evacuate the oropharynx in emergency situations. The device is designed to provide a vacuum force of approx 100 mmHg generated by the rebound of the bulb after each squeeze. Evacuated contents are expelled into a clear collection bag attached to the outlet port. The valve vac’s bag and bulb hold well over 1000mLs. A unique double-valved design allows for continuous operation with one hand. The other hand can then direct the contoured suction tip to prevent tissue damage. 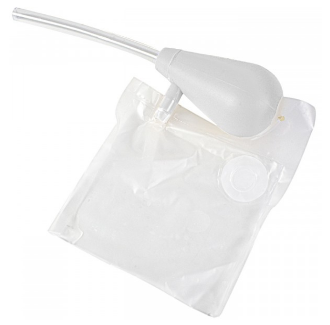 The Tactical Suction Device from North American Rescue is a reliable, simple, rugged, and inexpensive solution for clearing airway obstruction due to bloody fluids or other secretions.